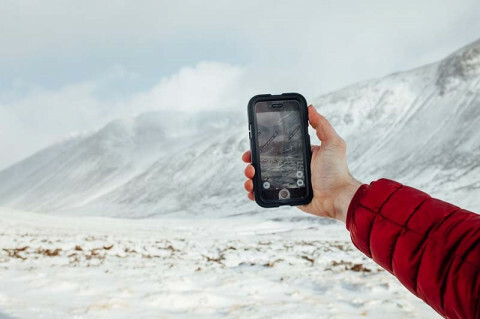 ViewRanger, a leading outdoor app for hikers and cyclists, is rapidly establishing itself as an innovator in augmented reality map technology. 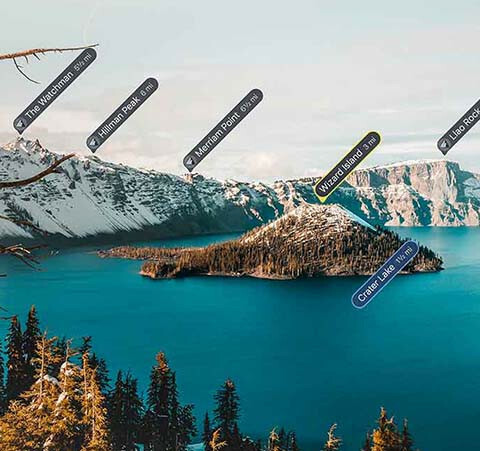 Skyline, a free augmented reality tool within the ViewRanger app, instantly identifies and labels landscape features using the camera on smartphones. Explorers can view place, lake, and peak names around them, and more than 9 million features can be labeled across the globe. In addition, ViewRanger users can view real-time direction arrows and waypoints overlaid on the real landscape while navigating a route. They can also see their virtual footsteps as they explore in Skyline mode. 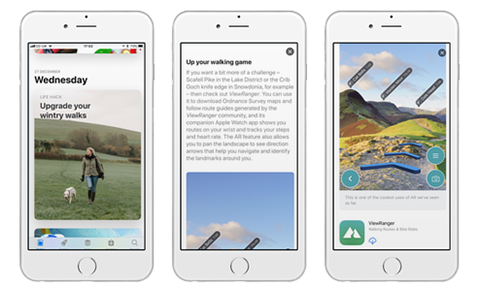 Since the promotion on Wednesday in the UK App Store, ViewRanger has seen a big spike in people downloading the app and trying out Skyline during walks and outdoor activities through the Christmas holiday week. Learn more about ViewRanger Skyline at https://www.viewranger.com/skyline. Download the free ViewRanger app on Apple App Store here. ViewRanger is a free GPS navigation app used by millions of people around the world to plan, navigate, and share outdoor adventures. Combining the world’s best offline maps with interactive route guides, advanced GPS navigation features and augmented reality, ViewRanger is the ultimate adventure tool for anyone exploring the great outdoors.